Call 484-206-5348 to schedule your first appointment. Whether your hearing loss is a sudden onset or a gradual decline, the hearing care specialists at Miracle-Ear® in Norristown can offer a solution. Our hearing aid center proudly provides exceptional service and high-quality hearing solutions. We're part America's most recognized brand of hearing aids, and with more than 70 years of experience and a warranty* to back our services, you can rest assured that you're in very good hands at our hearing aid center. Additionally, our hearing aids are made to offer a discreet fit to customers while providing high-definition sound quality. In particular, our hearing aids with GENIUS™ Technology can mimic the way the brain processes sound, leading to a natural hearing experience. We recognize the demand for extraordinary service, which is why we're happy to offer free hearing tests**. Our hearing care specialists are highly trained and can check your hearing quickly and efficiently. For those seeking hearing aid repairs, we've got that covered as well. We want our customers to know they're not alone, which is why we make it our mission to provide the highest quality hearing solutions. We'll assess your specific condition and supply you with details and information in order for you to make an informed decision. With our hearing aids, you can take part in activities you may have been avoiding, including dining at busy restaurants or even group conversations. To find out more about hearing aids in Norristown, PA, visit Miracle-Ear today. 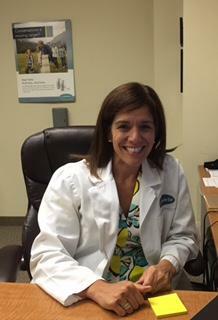 Francesca has 9 years of experience as a hearing care professional and 5 years as a partner. 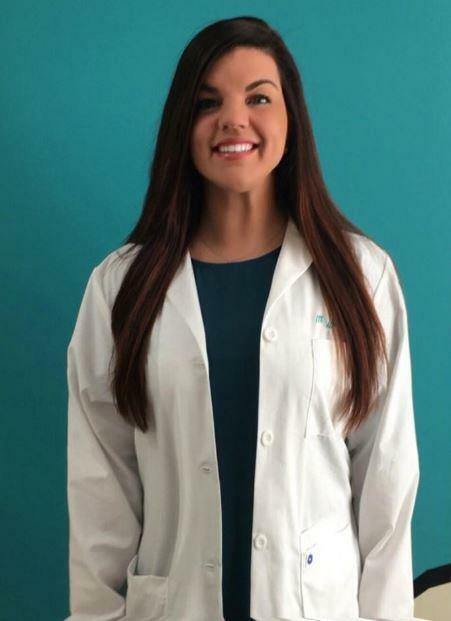 Francesca is licensed by the PA Department of Health, is an M-E Certified Hearing Care Professional, and a multi-Platinum Club Award recipient. Francesca's favorite part of working at Miracle-Ear is the variety of her job each day and the interaction with the patients, employees and other franchise owners. I have had my hearing aids for 6 years. The staff is very pleasant and helpful. They care about my hearing and my well being. Thank you for all that you and your fine staff do to help me hear better. Purchasing my hearing aid from Miracle Ear was a positive experience. My initial consultation was helpful and informative. The background of Miracle War and the technical progress made in creating the current models was discussed. Joshua conducted a thorough testing of my hearing ability (or lack of). He explained the results of my tests. With the help of a chart, he showed me where my hearing ability stood compared to where it could be with use of a Hearing Aid. Additional discussion about the various hearing aid options and comparison of models and costs were gone over in detail. I asked a number of questions and felt comfortable that I was not rushed into buying a hearing aid. My decision to purchase Miracle Ear was based on the quality of the product and the fact that the company stood behind what it sold. I also liked that if not satisfied, I could return within 30 days, with a slight cost. And, I was able to make satisfactory financial arrangements. However, what really helped me to decide was the caring attitude of the staff. Linda, Taylor and Josh made me feel at home. I was treated with respect. The learning process of inserting the hearing aid and caring for it was explained by Taylor. She took time to adjust the program and made sure it felt comfortable wearing them and caring for them. My first week of wearing my new hearing aid was a learning experience and an adjustment. I heard things around me louder and clearer. I was able to follow the conversation of the people on TV. I had to turn the sound down on the TV and radio. I did not have to ask friends to repeat what they said to me. The word ?what? was almost eliminated from my vocabulary. My one regret was that I waited so long to finally get help with my hearing loss. I look forward to many years of being able to hear and knowing that if I do have a problem, I don?t have to worry that I won?t be helped.